Cincinnati-area book lovers, come meet KiCam authors Kilee Brookbank, Laura Dewire, Danielle and Christopher Jones, and Keith Maginn from 3-7 p.m. Sunday, November 26, at West Side Brewing in Westwood. The inaugural “Brews and Books” event also will feature several other local authors and include everything from children’s books, sports books, nonfiction, and holiday books. This is a great opportunity to purchase some unique holiday gifts: books signed with personal messages from the authors! 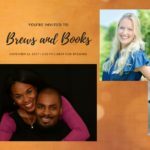 “Brews and Books” is a family-friendly event, as well. Of course there will be great local beer, but there also will be plenty of root beer, soft drinks, and food for guests of all ages. We look forward to seeing you, and we thank you for supporting local businesses and authors! KiCam Projects has signed an agreement with Bookmasters, Inc., for nationwide sales and distribution of its trade books. The partnership will provide greater exposure and reach for KiCam’s authors, helping to spread their messages to more retailers and consumers. KiCam focuses on publishing true stories of survival and recovery, whether from illness, addiction, tragedy, or other challenges. KiCam also offers its authors and collaborators the opportunity to designate a portion of the proceeds from their projects to be donated to a nonprofit organization. Founded in 2015, KiCam published three books in 2016 and released the illustrated children’s book A Corner of Heaven on Jan. 17. Eight more books are slated for 2017 publication. Bookmasters, based in Ashland, Ohio, is one of the largest providers of integrated publisher services in the United States. For more than 40 years, Bookmasters has offered services to publishers and authors such as book manufacturing, print sales and distribution, warehousing and fulfillment, eBook sales and distribution, and editorial and design services. Bookmasters is owned by Follett Corporation and is a strategic partner with Baker & Taylor, premier worldwide distributor of books, digital content, and entertainment products. Bookmasters’ sales team works directly with large wholesalers, retailers, and online sellers and has deep reach into the Christian and specialty markets, as well. Thank You, Shriners, for a Perfect Launch! Shriners Hospitals for Children – Cincinnati hosted a successful launch event for “Beautiful Scars” Wednesday that saw burn survivors, hospital employees, local media, Shriners members and friends from the community come out to support authors Kilee Brookbank and Lori Highlander. 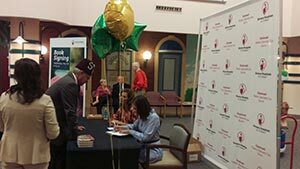 The atrium at Cincinnati Shriners Hospital was full all evening as Kilee and Lori signed books, took photos with guests and shared their experience of hope and healing. Kilee and Lori also donated 50 books for patients and their families. KiCam would like to extend particular gratitude to the Shriners team that organized the event and is setting up “Beautiful Scars” signings this summer at the Shriners hospitals in Boston and Galveston, Texas. A portion of the proceeds of “Beautiful Scars” will benefit Cincinnati Shriners Hospital, and the Kilee Gives Back Foundation, which also supports Cincinnati Shriners Hospital, is finalizing plans for its second annual celebrity golf outing later this year. https://kicamprojects.com/wp-content/uploads/2017/09/KiCam-Logo-Web-Md-No-Tag-TM.png 0 0 Courtney Watson https://kicamprojects.com/wp-content/uploads/2017/09/KiCam-Logo-Web-Md-No-Tag-TM.png Courtney Watson2016-05-19 14:14:342018-10-31 14:33:12Thank You, Shriners, for a Perfect Launch! 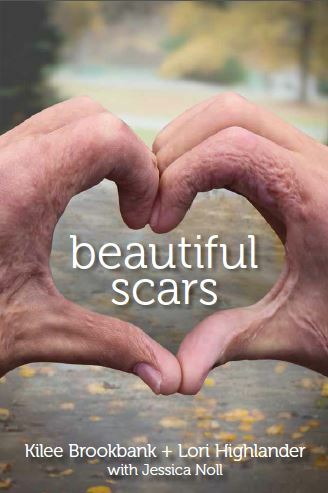 We’re delighted to invite you to our first book signing for “Beautiful Scars,” from 6-8 p.m. Wednesday, May 18, at Shriners Hospitals for Children – Cincinnati. Come meet our authors, Kilee Brookbank and Lori Highlander, and get your copy of our premium-edition hardback for the special-event price of $20. 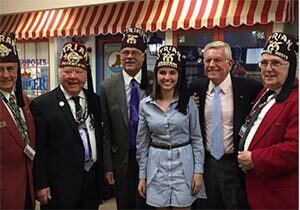 We’re so grateful to Shriners – Cincinnati, first and foremost for the incredible care they provided for Kilee and now for their support of “Beautiful Scars” and KiCam Projects. That’s why a portion of the book’s proceeds will benefit Shriners – Cincinnati. You can be sure that your purchase will be helping a tremendous organization! In addition to the signing in Cincinnati, we’re working with Shriners to schedule events at the three other burn centers around the country: Boston; Galveston, Texas; and Sacramento, Calif.
Stay tuned to our blog and social channels for information about future signings and other events. We appreciate your support, and we look forward to seeing you at Shriners – Cincinnati on May 18!